The summer cannot approach fast enough! We all love summer and because it always seems so short, it’s a great idea to start planning it ahead, so that not one sunny day is wasted. 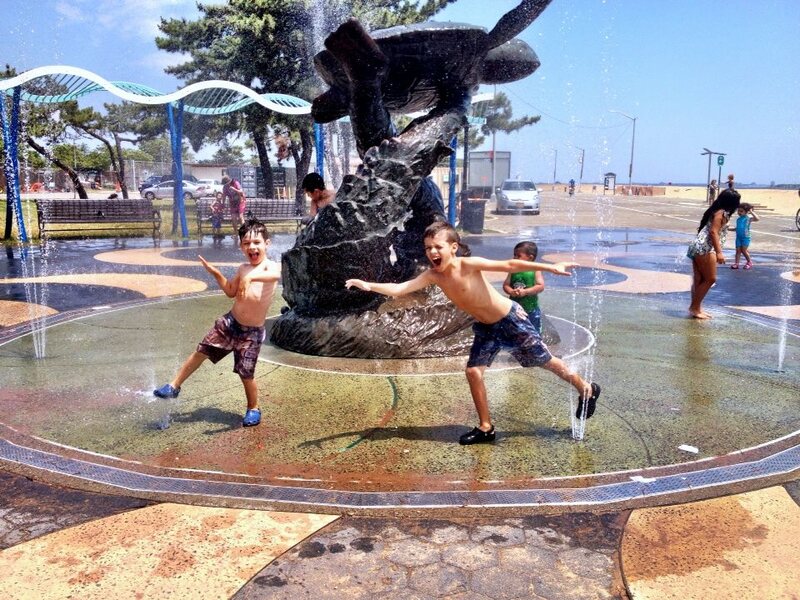 To help you plan it I came up with a list of fun summer activities you can do with your kids. My 100 Days of Summer list begins around Memorial Day, and leads you day-by-day through the hot summer months right up to Labor Day. Each day offers a task, activity, or reminder to help inspire and motivate you throughout the summertime. I’m also creating a PDF check list that you will be able download and keep for your reference. 1. Go to the beach. 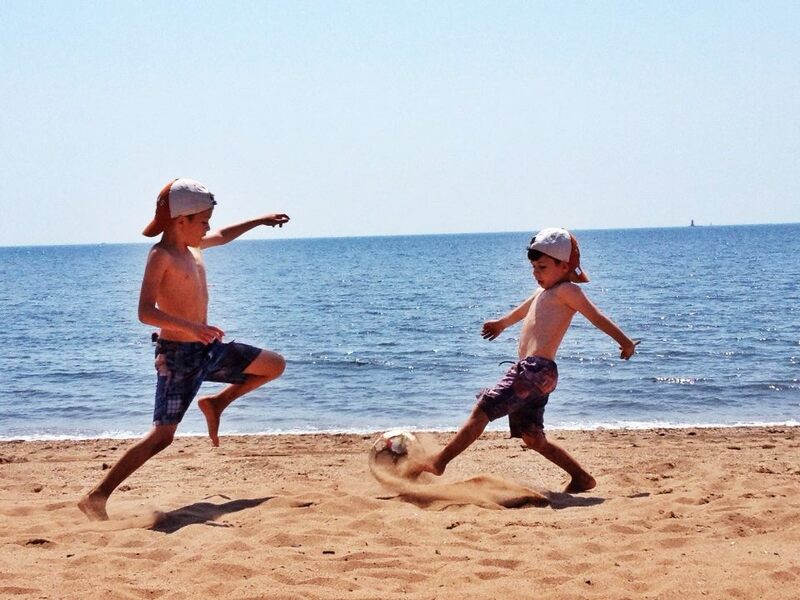 Everyone loves swimming and playing ball on the sand, kids are not an exception. 2. Go camping. This could be a fun activity for the whole family. Bonding with nature is one of the advantages of camping. 3. Play badminton. 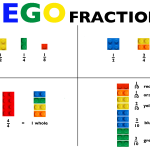 This simple game is fun for kids over 5. The rules are easy, learn and play! 4. Have a picnic. Kids can help packing their favorite snacks and games. Having picnic in the park during summer is old time favorite. 5. Go berry picking. Pick a farm of your choice and head straight there for a day of deliciousness. If you are spending your summer in the county you might get lucky and pick some berries there. 6. Have a BBQ. No comment needed. 7. Go to the community pool. Community pools are filled with kids during summer brakes. Take your kids there for a splashy afternoon. 8. Visit the Zoo. You can see all sort of animals that were in the hiding during winter. 9. Make lemonade and sell it. Help your kids make lemonade and assemble a lemonade stand. Kids will enjoy it and also make some money. 10. Pick a starry night and do some stargazing. GoSkyWatch Planetarium – the astronomy star guide is an amazing iPhone/iPad app. It lets you easily and quickly identify and locate stars, planets, constellations and more with a touch or by simply pointing to the sky. 11. Make Popsicles. 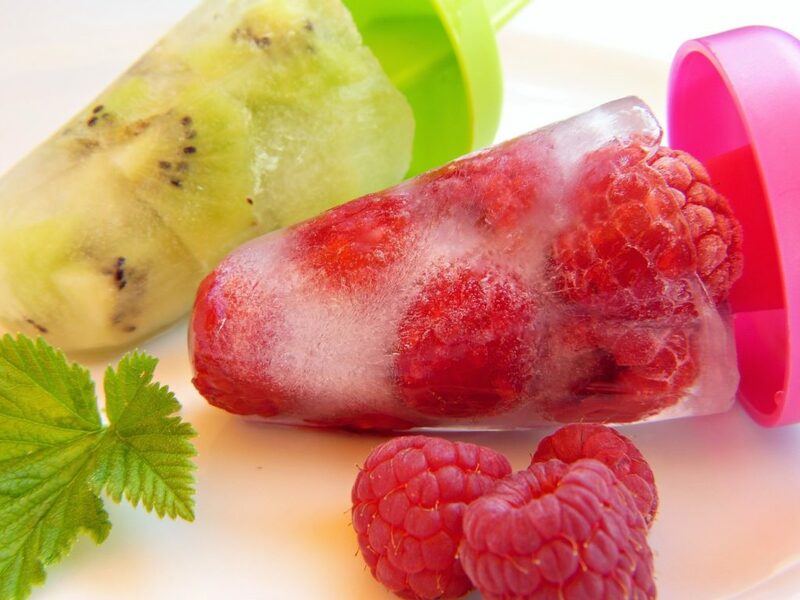 A great summer snack that can be made at home with your favorite juice, fruits and berries. Click HERE for tons of delicious recipes. 12. Make ice cream at home. You don’t really have to buy ice cream, there tons of recipes on how to make some at home. 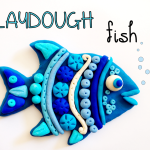 Can be a fun activity for you and the kids on a hot summer day. HERE are some recipes to follow. 13. Watch Fireworks. Who doesn’t like fireworks?! 14. 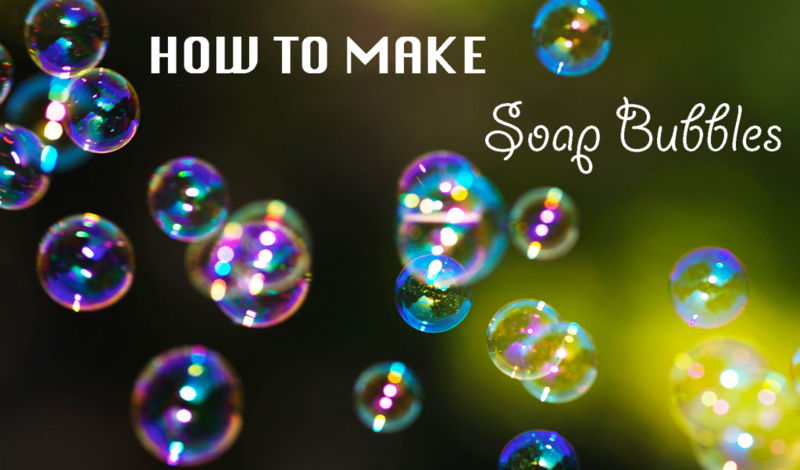 Make soap bubbles & bubble wands at home. 15. Collect seashells, stones, sticks and wild flowers. 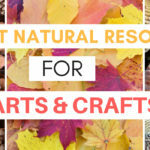 Natural resources are the best craft supplies. Have a stash for those rainy or snowy days when you stuck home. 16. Play Frisbee. A fun game that keeps you active. Perfect for the beach or the park. 17. Make ice tea. What can be better than a cold ice tea on a hot summer morning? 18. Watch a movie outdoors. Certain beaches and parks have a summer outdoor movies schedule during summer months. Find out ahead which nights are available in your area or simply set up a movie night in your backyard. All you will need is an outdoor movie projector and an outdoor movie screen. 19. Do scavenger hunt. Nature Hunt is the perfect idea for exploring your surroundings while engaging in some friendly competition. 20. Make a kite and fly it. 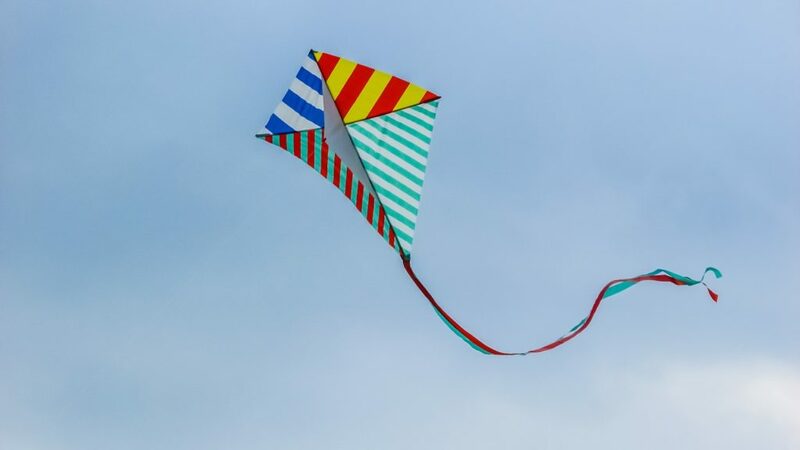 Check out this simple DIY kite tutorial. 21. Plant a tree. If you live in New York in the area where hurricane Sandy has hit, there are plenty of trees that didn’t survive. The city still needs new young trees. 22. Pick wild flowers. Make a beautiful bouquet and give ti to your mom, grandma or a friend. You will definitely brighten their day. 23. Do yoga on the beach. Learn to do simple basic poses on the sand. 24. Play miniature golf. Fun, fun, fun even for adults! 25. Visit water park. 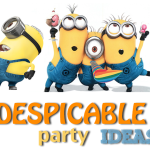 This could be a whole day activity filled with fun and laughter on a very hot summer day. 26. Go to an action park. If you like dangerous and scary rides, this can be a whole day of fun. 27. Slip and slide. A perfect activity when it’s really hot, if you have a big backyard. 29. Watch a sunset. Find a great spot somewhere on the beach and enjoy the end of a beautiful day. 30. Ride bikes in the rain. Could be a pleasant ride if the temperatures are in the upper digits and humidity is unbearable. 32. Build a sand castle. When you are tired from running around on the beach and swimming, sit together on the shore and build a sand castle. 33. Go canoeing. If your family likes sport and extreme, canoeing can be just a thing for you! 34. Go for a scenic drive. Kids love to stare out of the windows, so why not to show them the beauty of our World. 36. Learn how to roller blade. 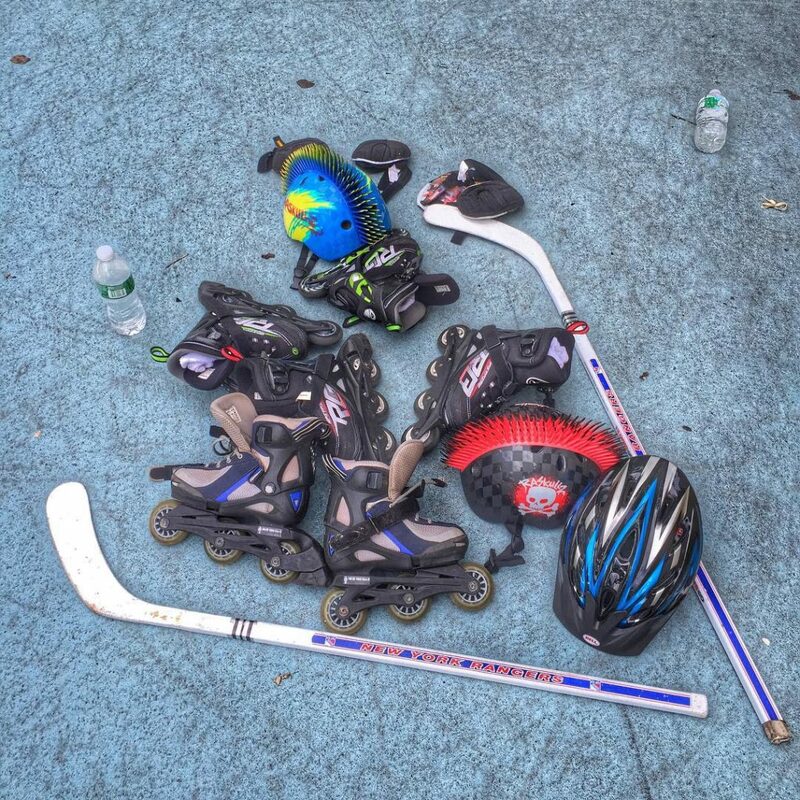 Summer is a perfect time to learn how to roller blade, just don’t forget to wear helmet and protective gear! 37. Potty train your little ones. 38. Car Wash. A great activity to do with your kids on a hot summer day. You’ll get a clean car while kids have fun cleaning it! 39. Garage sale. End of summer seems like a perfect timing to sell the clothes kids grew out of and toys that no longer interest them. With the money earned, kids can shop for fall clothes and new toys. 40. Prepare for the upcoming school year. Shop ahead of time as many of the items will be out of stock by the time you decide to do this boring chore. 41. 4th of July arts and crafts There are tons of stars and stripes craft for kids to do during this holiday. It will keep them entertain while you enjoy the company of your guests. 42. Arts and crafts from natural resources. 43. Create an outdoor obstacle course. A fun way to get moving during those lazy summer days. Get the whole family or even neighbors involved. Create teams and compete! 44. Have a race with remote control cars. You don’t have to splurge on expensive race cars. ToysRUs cars will also do great. 45. Have a slumber party celebrating summer. Get your friends together for a some BBQ and s’mores. 47. Dance under the warm summer rain. Connect with nature and enjoy the raindrops! 48. Go to the park. Kids need fresh air and entertainment. Park is an ultimate solution. 49. Play in the sprinkler. All time favorite for kids all ages. 50. Go to a museum. If the weather doesn’t permit playing outside, visiting a local museum can be a great idea. 51. Read books. Weather you are on the beach or stuck at home on a rainy weather, reading a book is always a must for anybody age 5 and above. If your kids are still too small to read independently, read to them! 52. Play hide and seek. I believe this is the most popular kids game. 53. Make homemade sideways chalk. Martha Stewart has a simple recipe here on how to make chalk. 54. Water balloon fight. You can buy a whole bag of water balloons in ToysRUs, just fill them up with water, the kids will thank you. 55. Make summer photo album. A great idea to print those pictures you’ve been taking all summer and put them in an album to cherish for many years to come. 56. Build a tree house with your parents. 57. Use magnifying glass to study bugs. 58. 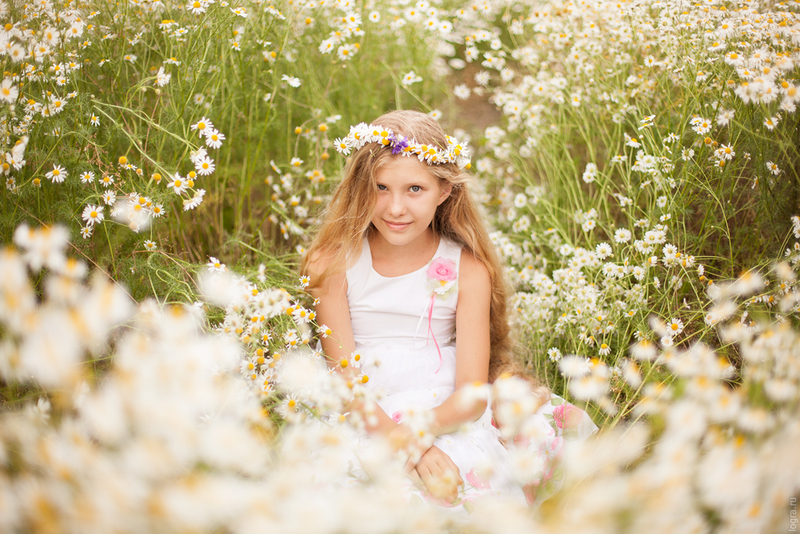 Make headbands from wild flowers. 60. Go fishing. Check finishing calendar not to miss a season opener. 63. Swim in the lake. 64. Start a garden and let the kids do a planting, watering, and weeding. 66. Make pinwheels and put them in your garden. 67. Create masterpieces with melted crayon rocks. 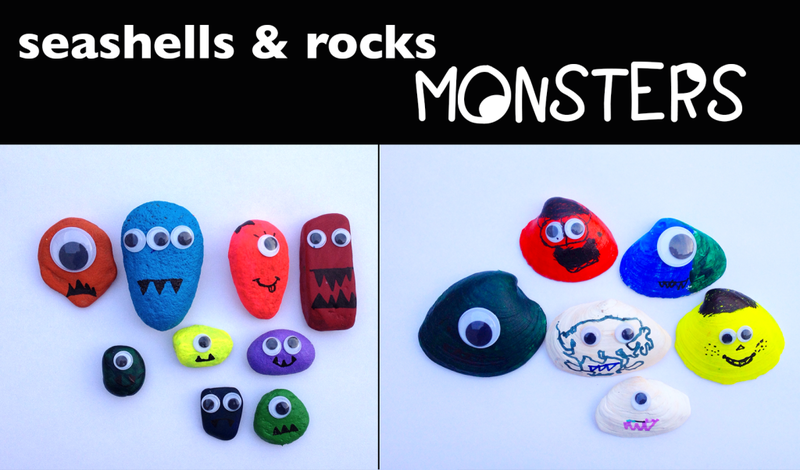 Heat up rocks (ask your parents to help) in the oven and draw with crayons on the stones. 69. Watch Meteor Showers. Every year we check the calendar and wait for them. We plan a late night and watch the stars move across the sky. Mesmerizing! 70. ‘Bake’ a fruit cake. 71. Make a fruit bouquet. 72. 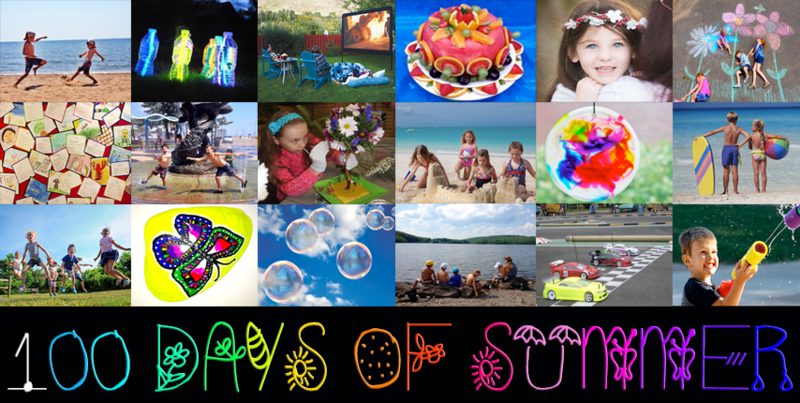 Create a summer collage of 100 things and use it as 100 days of school project. 73. Camp out in the backyard. Recreate the whole camping experience without actually going camping. 74. Have an outdoor tea party. 75. Write letters to friends and relatives. Nowadays it’s a rare occasion to receive and handwritten letter in the mail. Surprise your loved ones with the handwritten letters. 76. Style up your sunnies. A fun DIY project which you get to wear all summer long. Buy (or use your own) a pair of sunglasses. Think of the decoration you would like to put on your sunnies and let the fun begin. Ask your parents to help you with the glue gun (which can get very hot). 77. Make sailboats. When I was little, we created them all the time. We took them to the river and watch them sail away. 78. Make vacation memory jars. 80. 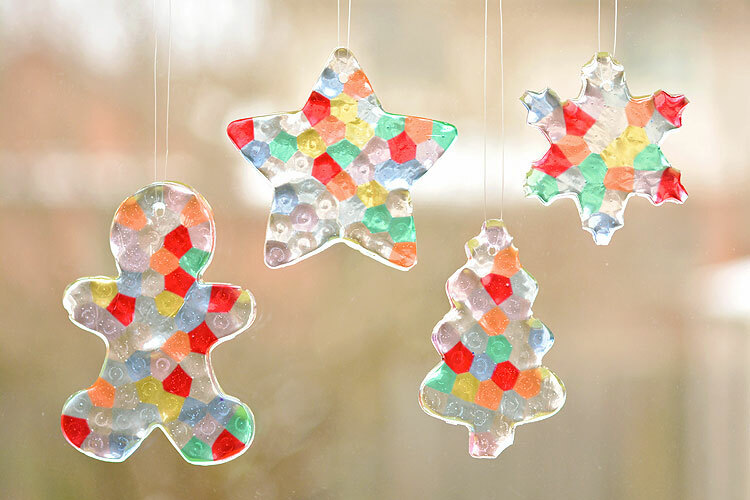 Make snow globes if you miss summer. 81. Make a jump rope and play. 82. Make veggie and fruit smoothies. 85. 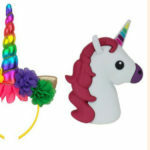 Throw a Unicorn party and exchange Unicorn themed gifts. 86. Make a splashpad. Read here on how to make your own splashpad. 87. Water Balloon pinatas. Fill water balloons, hang them high enough on a tree brunch and let your kids have a go at them! 88. Coloring wild flowers. Here is a great and fun way to teach kids about how flowers feed. 89. Make your own hula hoop and have a contest who can spin it longer.Here is a DIY of how to make your own hula hoop. 90. Make a sandbox for your backyard. Growing up as a I child I used to love playing in a sandbox. 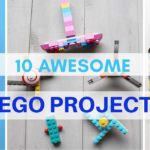 Here is an idea of how to make one for your kids. 91. Set up your own outdoor Glow-In-The-Dark Bowling. For a fun idea on a summer night. Read how to make it here. 92. Have a banana split party. Provide the bananas and ice cream and asks guests to bring their favorite topping to share with everyone else. 93. DIY Dinosaur Fossils. Here is an example of how to make them. 94. Chase fireflies. Is there anything better than spending a starlit Summer night with your family, chasing fireflies and eating s’mores? 95. Attend flower design classes for kids. 96. Learn how to make paper flowers. 97. Make toy and candy bouquets. 98. 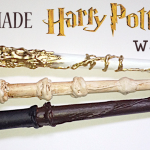 Make a back to school present for your teacher. 99. Meet up with your school friends and rave all about your amazing summer. 100. Have a good bye summer party. For more fun things to do with kids click here and here.